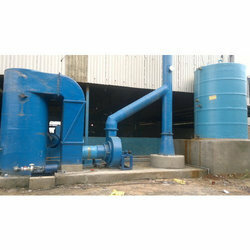 Our organization specializes in manufacturing and supplying a qualitative array of FRP Fumeless Pickling Plant that is available in various shapes and sizes to suit the batch and continuous pickling, needs for industries. 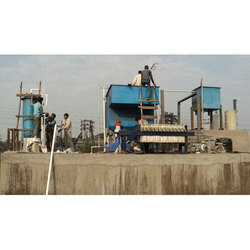 These pickling plants are manufactured using quality assured material with the aid of cutting edge technologies. Our pickling plants are used for water purification, as these are very ideal for removing the real contaminants like heavy metals, inorganic, bad taste and odor while leaving beneficial minerals in the water. 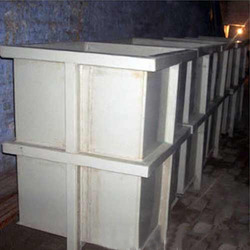 We are the prominent manufacturer and supplier of a wide range of FRP Acid Storage Tanks. These storage tanks are manufactured at our highly developed production unit by making use of superior quality raw materials. Our storage tanks are inspected by quality experts prior to dispatch. 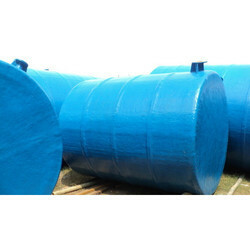 The offered storage tanks find wide usage in plastic, textile, petrochemical, steel industry and laboratories. 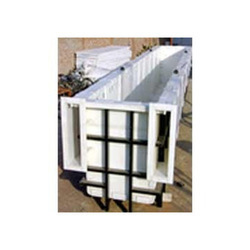 Our company is devotedly involved in offering a broad range of FRP Chemical Tanks that can be made in both collapsible and non collapsible forms. 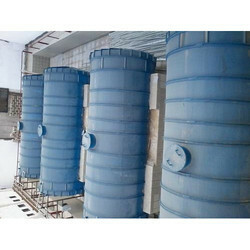 These chemical tanks are developed with the help of finest grade material & modern techniques in accordance with set norms of industry. 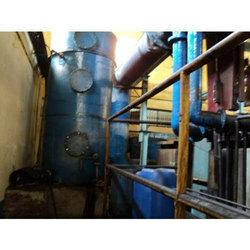 We offer this chemical tank to our customers in diverse specifications to choose from. Our offered chemical tanks are used for storing chemicals like acids and other concentrates. With the aid of our technologically advanced manufacturing unit, we are able to provide our clients a wide array of PP Chemical Storage Tanks. These storage tanks are designed into durable, easy to install and excellent capacity for efficient functionality. Offered range is known for features such as chemical and acid resistance, good mechanical strength and durable. Our offered storage tanks are inspected on various parameters before delivering at customer’s end. Established in 2015, "Shankar FRP Project Engineering", is manufacturing and supplying a quality assortment of FRP Products. Our range of products include FRP Chemical Storage Tanks, PP Pickling Tanks and FRP Gratings, among many others. Our faultless and genuine products are fabricated and designed using pristine quality raw materials and high-end technology in tandem with industry-set guidelines. They are held in high regard due to their lightweight attributes, sturdy construction, resistance to corrosion and ability to withstand severe conditions. Our manufacturing process undergoes a rigorous quality assessment, conducted by some of India’s topmost quality analysts. Our FRP tanks are highly demanded in different industries as efficient and durable containers for storage of various chemicals and liquids. We also offer customised products and solutions to our loyal patrons. Our infrastructure is integrated with top-end technology and advanced machinery, which helps our dedicated workforce produce quality products within stipulated timeframes, while maintaining a high production rate. Our skilled workforce that comprises of warehousing & packing staff, designers, production staff, logistics personnel and research & development personnel are assisting some of India’s largest companies fulfil industrial operations. 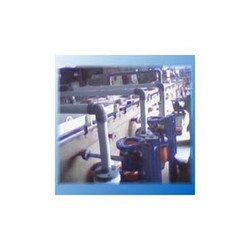 Moreover, we have established a large distribution channel that enables our products to constantly reach newer sectors.